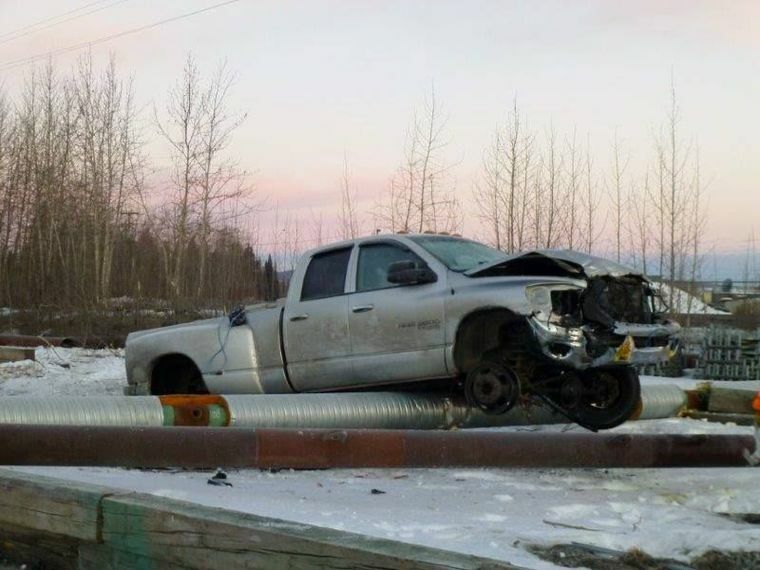 In a story that seems like a case of real-life-grand-theft-auto, reports out of Fairbanks, Alaska claim 21-year old say Aleksandr Glushko of Delta Junction drove a stolen forklift more than 3 miles while intoxicated to retrieve a truck he crashed. Police say Glushko drove off a road in a pickup and crashed into pipe stacked in a company yard. The pickup was left straddling pipe. Unphased, Glushko then meandered over to nearby George Horner Ice Park, stole a forklift and drove off with it. Glushko then allegedly drove the forklift down Phillips Field Road past the crash scene, to Illinois Street, Soden said. An Alaska Railroad worker told police he saw a man drive the forklift to Illinois Street. The worker told police Glushko said he was taking the forklift to get his dad’s truck, which had a flat tire. Glushko then apparently turned back to the west where police at the scene of the truck crash spotted him. “Police were on scene talking to the railroad worker when Mr. Glushko came driving back up on the forklift,” Soden said. Glushko was cooperative and agreed to take a breath-alcohol test, Soden said. It registered 0.230, almost three times the intoxication standard of 0.08. Police were at the scene when Glushko looped back. Glushko has been charged with felony driving under the influence of alcohol. He remained jailed Tuesday. If you’ve been accused of Driving While Intoxicated, it is critical that you act quickly.